Square business card are creative innovation and cost effective. Mini square business cards design are different from old style business card designs. Square business cards are custom shape business card beside a standar size of business cards (3.5 x 2 inch). Mini cards design can easily attract people’s attention If your are looking for inspiring mini square business cards design in a variety, So you are in right place. Here I have fresh and inspiring 50 beautiful mini square business card design. Business cards is one of the most important and cost-effective marketing tools a business can have, especially for businesses just starting out. And yet, too often it’s a missed opportunity to make a great impression. 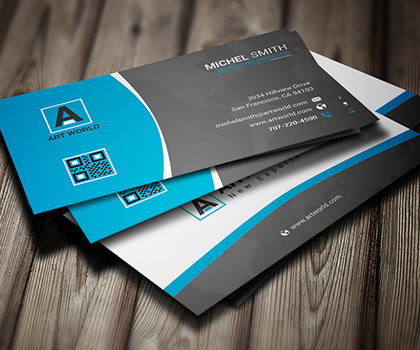 A powerful and well-designed, stylish business cards design can effectively promote your business. There’s a good chance that if the look and quality of your card is shoddy or unprofessional, it may be thrown into the trash. Great list. Square cards instantly catch attension because of their shape and size.